As with all sections on this website, this area depends on input from the members. If you have anything that would fit these subject areas, please pass it along to me. As many of you know, when Super Storm Sandy devastated New Jersey in October, 2012, one of the many casualties was the Cal 40 �Sinn Fein, two-time Newport to Bermuda champion.� Declared a total loss by the insurance company, Pete Rebovich decided to buy the boat back and try to repair it for the 2014 Bermuda Race. �We thought our sailing friends and colleagues might be interested in the progress to date.� The link below is to the Raritan Yacht Club website, where we are starting a Sinn Fein Restoration blog. �The intended audience is our club members, so It?s a bit chauvinistic, but should nonetheless be of broader interest.� Questions or comments may be e-mailed to Kelly Robinson at krobins@rutgers.edu .� I will forward to Pete as appropriate. George Griffith rocked my world. 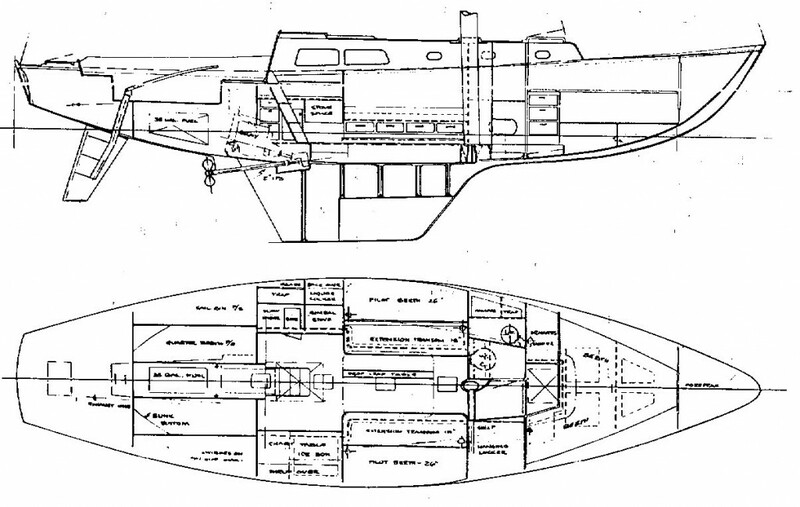 The man had a vision for a next boat, and he didn?t care about the doubters. The result was the Cal 40, arguably the most influential raceboat of the second half of the 20th century, and I have it on good authority that George, on his last day of sharing our Blue Planet, had a view of some very fine Cal 40s, moored at Catalina Island, gleaming as brightly as when they rolled off Jensen Marine?s production line in the 1960s. 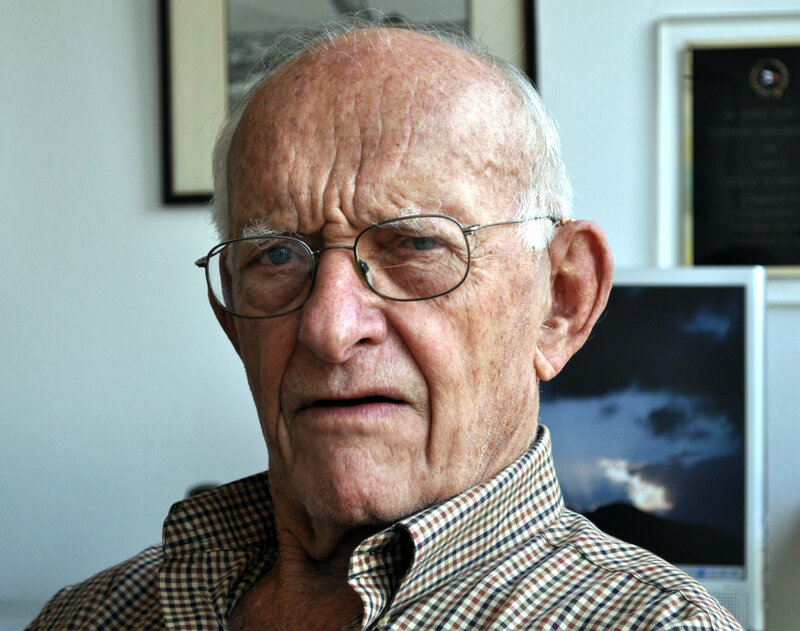 George Griffith died this morning at about 5 a.m. aboard his motorboat Sarissa, with the family rushing him to the mainland. His son David reports they were making 19.5 knots, and knowing Sarissa, that means that someone was trying to push the throttles through the housing. A few miles short of the beach, George simply fell asleep. The last two weeks however, had been full of family time, shared aboard Sarissa at Catalina with wife Mille, son David, daughter Mary, grandchildren, and a stream of admiring visitors from boats nearby. As longtime members of the Los Angeles Yacht Club, George and Mille made great use of the club?s mooring field at Howland?s Landing, Catalina. They had mooring number three, and you couldn?t really say whether Sarissa was their second home, or Howland?s, but you could say without reservation that George was the patriarch. 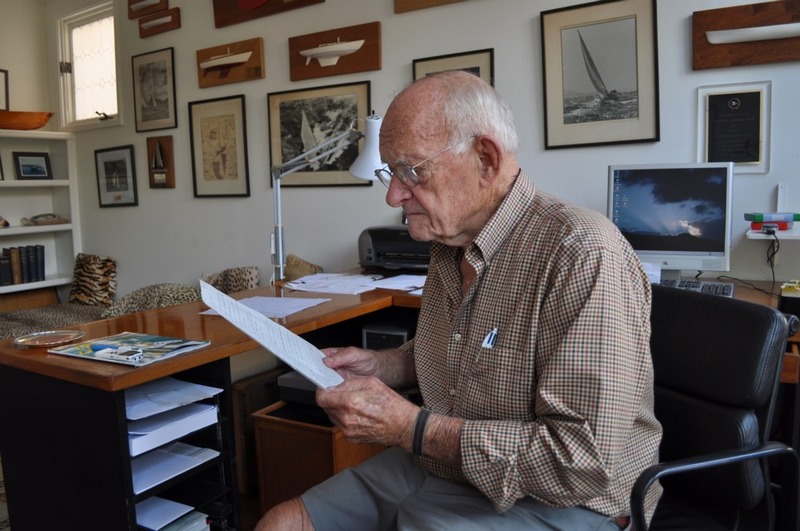 Born May 9, 1921, George built himself a nine-foot dinghy in 1931. You do the math. 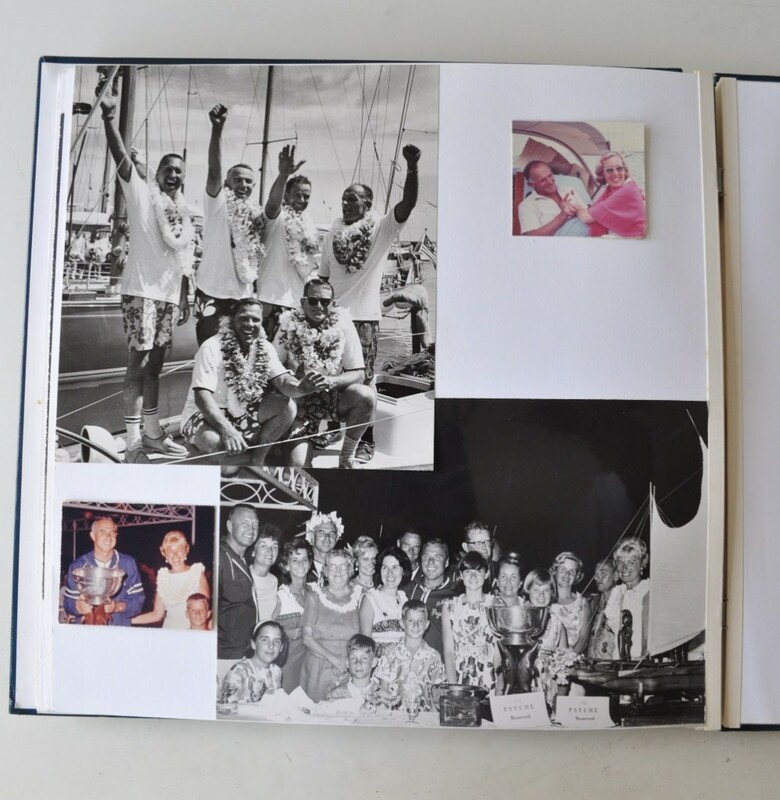 He sailed his first Transpac in 1941, sharing the 45-foot cutter Pajara with his brother, Dave, and finishing second on corrected time. World War II he spent in Houston, Texas building warships. Caltech was the logical place for George?s higher education, feeding that hands-on, experimental bent that never left him. He worked with friend and naval architect Bill Lapworth on the design of a 36-footer, and then a 40-footer, but it was George who sketched out the shallow sections of what would become the Cal 40 at a time when ?walking on the bottom of the boat wasn?t exactly normal.? He insisted upon the fin keel, spade rudder and light-for-its-time construction that would make this boat the original downwind flyer. It was George who boldly told the builder, ?I?ll guarantee you ten boats.? Not that he had a way to back that up, exactly. David recalled that, as hull number one neared launch, ?Dad drove the muffler right off our Studebaker station wagon and just kept right on going.? Then, in the very next Transpac, 1965, Los Angeles to Honolulu, Cal 40s finished 1-1, 2-2, 6-3, and 5th-7th in Class C. Downwind distance racing has never been the same. George sailed the race on overall winner Psyche with a crew including skipper Don Salisbury, navigator Ben Mitchell, and builder George Jensen . . .
From George?s scrapbook: An exultant Psyche crew, 1965. George is far right in the crew photo. Today, Psyche is yet another Cal 40 that is still as good as new and still pleasing to the eye, the nautical equivalent on the mooring of a ?65 Mustang in the driveway. Many years on, Cal 40 owner Stan (?Cal 40s have no bad habits?) 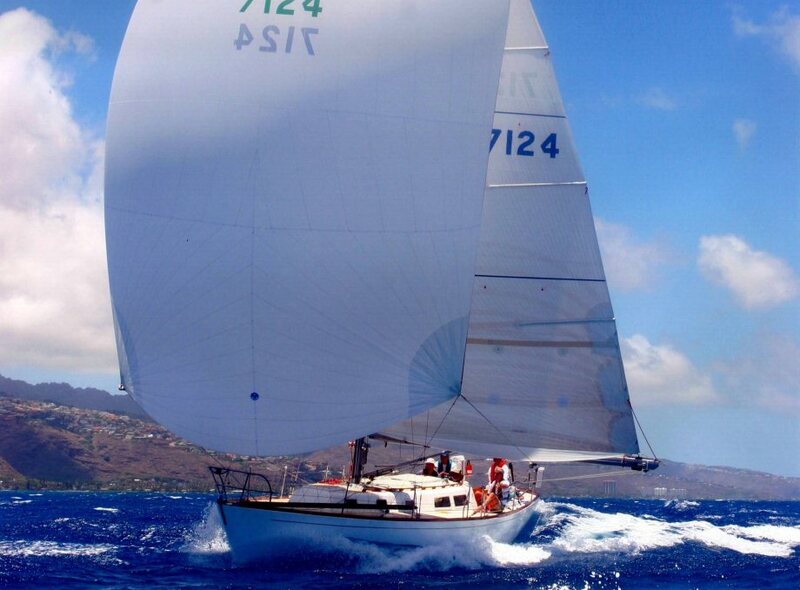 Honey inspired a fleet of 14 Cal 40s to race the Centennial Transpac, sailed in 2005. George?s son David joined the crew of Fin Beven?s Radiant, and the run down the Molokai Channel proved the whole concept all over again . . . The motorboat came about in 1985, when Mille put her foot down. George recalled, ?I?ve always thought that if the wind is aft, a boat should have a spinnaker up. We got to a point where Mille declared that I had risked my neck too many times getting a spinnaker down when I shouldn?t have put it up in the first place.? And Sarissa, which wound up being built at Choate?s with George as yard boss, is a motorboat that a sailor could love. There will be a memorial service at 5 pm on Sunday at the Los Angeles Yacht Club in San Pedro. Ashes will be scattered off the West End of Catalina, the last mark before Diamond Head. George had for years been Transpacific Yacht Club member number one, which he said, ?Just means I?ve lost a lot of friends.? So have we, George, so have we. Download and read this wonderful article about George Griffiths in Power & Motoryacht by right-clicking on this link and selecting "Save Target As" from the new menu that appears before you. Download Fin Beven's Cal 40 Owner's Manual here by right-clicking on the link and selecting "Save Target As" from the new menu that appears. 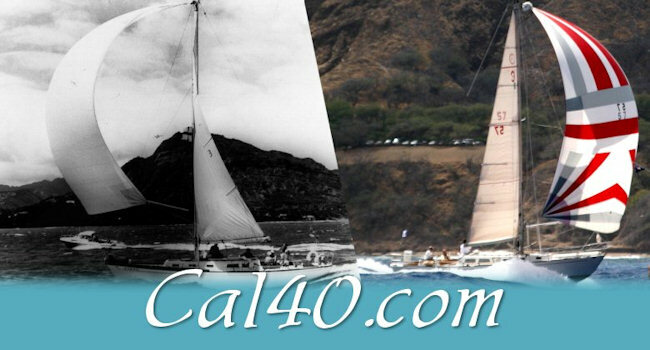 "The Restoration of a Cal 40"
Sinn Fein, Peter Rebovich?s Cal 40 from Metuchen New Jersey, beat the other ten boats in Class 1 and the entire 123-boat St. David?s Lighthouse Division for top honors in the 2008 Newport Bermuda Race. This is Rebovich?s fourth successive Class 1 win and his second lighthouse win in a row. In addition to claiming the St. David?s Lighthouse Division victory, Sinn Fein is the first boat ever to win the North Rock Beacon Trophy, which was donated this year by the Royal Bermuda Yacht Club for the winner on corrected time among all of the 122 IRC-rated boats in the combined St. David?s and the Gibbs Hill Lighthouse Divisions. The small boats had a very different race from that sailed by the big boats in the Open Division that finished the day before them. The winds were on the bow, straight from Bermuda the entire time, and were much stronger after the High that buffered the approach to Bermuda earlier in the week, had disappeared. Peter Rebovich said of his crew, ?This is the best crew in the race without a doubt and this was one of the most difficult races, because it was all upwind. No one got sick, but we did have mechanical issues. It was an unexpected win because we lost our electronics when we swamped the computer and lost use of our satellite phone. We could navigate, but we couldn?t communicate. It was a total surprise!? Sinn Fein?s elapsed time or 104:43:57 corrected at 61:06:38 under ORR and 100:13:44 under the IRC rule. Selkie, a McCurdy Rhodes 38, skippered by Sheila McCurdy, Vice Commodore of the Cruising Club of America, was second with a corrected time of 62:10:18. Emily, Edwin S. Gaynor?s Nielsen 44, was third in the division with a corrected time of 63:23:48. Sinn Fein?s all amateur crew is comprised of Peter S. Rebovich Sr., Gary Gochal, Henry Henning, Peter S. Rebovich Jr., Mark P. Rebovich, Kelly Robinson and Foster Tallman. "Perry on Design - Cal 40"